Visit Coco Beach,famous Aguada Fort, Calangute Beach and Church of Mae De Deus at Saligao, Mayem Lake, Corjuem Fort, Aldona Cable Bridge and Panaji Handicraft Emporium. This tour takes you to visit Coco Beach situated at the mouth of the Nerul River on the Mandovi Estuary, famous Aguada Fort, Calangute Beach and Church of Mae De Deus at Saligao. 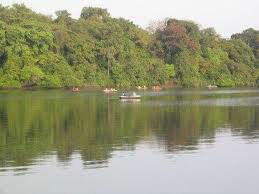 Next comes the exquisite Mayem Lake which nestles sparkling silver among low forested hills. The tour halts for lunch here. Then tour covers Corjuem Fort, Aldona Cable Bridge, Panaji Hadicraft Emporium. 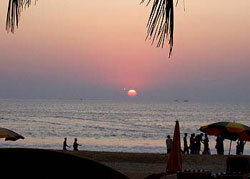 Coco Beach: Situated at the mouth of the Nerul River on the Mandovi Estuary. 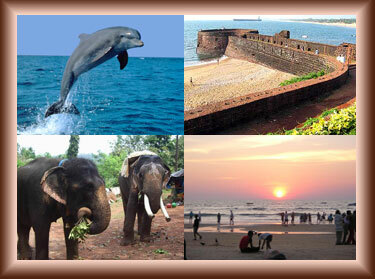 It offers magnificent view of the open ocean on one side and the Reis Magos fort on the other side. Long dense shadows of coconut trees are providing a beautiful look to the beach. Water sports and boating trips are organized here. Fort Aguada : The fort was constructed in 1612 to guard against the Dutch and the Marathas. It is the largest and best-preserved Portuguese bastion in Goa: It stands on the edge of a hill, overlooking the south of the Mandovi river & the lush greenery. Calangute Beach : It is also known as Queen of Beaches which is a hippy haven; they discovered this beach in the late 60s. As the hippies faded from the forefront, domestic tourists recognized the potential of the pleasures offered by Calangute and turned it into a paddling, snacking, shopping, picnicking, vacationing beach. Saligao Church : It was built in 1873. The church enshrines the miraculous statue of Mae de Deus (Mother of God) which was brought from the ruins of the convent of Mae de Deus in Old Goa. 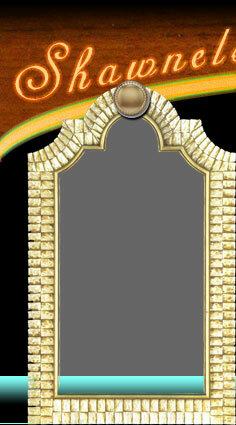 The church is both a historically and architecturally important heritage building in Goa, India. This beautiful church is a finest example of the Gothic style of architecture.